Wendy Lawton has amassed a substantial body of work in the quarter century she has been creating original porcelain dolls. 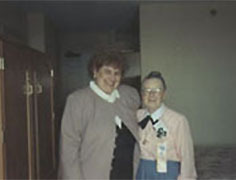 Her company, The Lawton Doll Company has, to date, issued more than 250 original editions. Perhaps most surprising of all, collectors can't seem to get enough. Year after year, collection after collection the dolls sell out. Wendy Lawton's work has garnered an impressive array of awards. 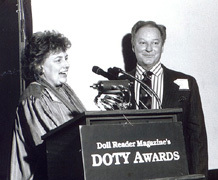 In past years, Lawton dolls have been nominated for more than sixty industry awards, winning the coveted DOTY eleven times and the Dolls Award of Excellence three times. But dolls are more than just Wendy Lawton's profession. 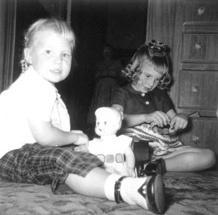 Wendy cannot remember a time when dolls were not a significant part of her life. Her best childhood memories are highlighted by dolls. Wendy's passion for dolls continues to this day, so she readily understands their appeal to collectors. "Remember the hopeful expectation of Christmas?" Wendy asks. "Or counting and recounting the coins in your piggy bank in anticipation of finally having enough to buy that long-awaited treasure? Much of the magic of childhood is rekindled in these kinds of experiences. We recapture some of that enchantment with our collecting." Lawton Dolls, created painstakingly in the California workshops, are limited in number and highly prized by collectors. 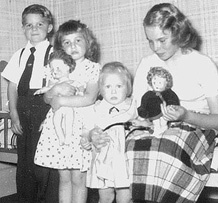 In the past, Wendy Lawton also created two collections of dolls in a more affordable price range. She designed dolls for the Ashton-Drake Galleries for a number of years and later launched Lawton's own Gallery Editions--dolls designed by Wendy Lawton and imported from the Pacific Rim. In 2002 Lawtons made a decision to “go back to our roots” and discontinued all doll projects except those made in America--right in the Lawton workshop. In addition to being a well-respected doll designer, Wendy is also a writer. 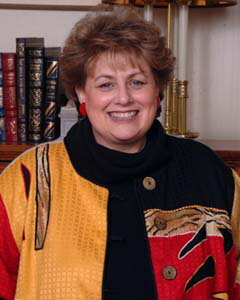 Her recent publication credits include her Daughters of the Faith book series. To find out more about Wendy Lawton's books and writing, visit http://www.wendylawton.com. Wendy Lawton plans to make dolls for many years to come. "Because the dolls represent humanness, they seem to link us to one another," Wendy says. "A real bond develops between artist and collector--I can't think of anything I'd rather do."